Tips, highlights and general thoughts on Anguilla for planning your adventure in paradise. A private chef seems like a lofty idea, and perhaps unnecessary on an island as fabulously foodie as Anguilla. Yet, for many guests to the island, a romantic private dinner a deux or a private chef for a weeklong villa experience with friends is just what the vacation doctor ordered. There’s a personal touch, and the menu is catered to your palate and dream dining experience. What’s not to love? We’ve been testing the waters with private chef services on a nightly basis at our new villa in Anguilla, which has allowed us to learn how to approach the process of collaborating with a private chef. And it should be a collaboration. The entire process should be somewhat consultative in nature. How many people? What’s your style? What are you looking to achieve? To work effectively with a private chef and have it wow you, both parties need to understand the other’s expectations. Based on our experiences, here’s a quick guide on how to work effectively with a private chef, whether it’s a one-off experience for a special night on vacation, or services spanning your entire getaway. 1. If you’re staying at a villa, the owners or property managers will likely have recommendations to share with you. At Frangipani, we’ve been vetting chefs ourselves to find out whose style vibes best and which chefs offer the easiest experience from start to finish. We’ve had some bad eggs, but in the process we found our keepers. 2. For some people, this may be a non-issue, but for many of us, it’s important to know how this process works from a financial perspective. Chefs operate in different ways and it’s important to understand what you’re getting into so everything ends as happily as it starts. Are you paying per hour or per person? Some charge a flat rate for a fixed number of people with a cost per head beyond that. Know how they operate on this front. Once you figure out that price, dig deeper. What exactly does that price include? For many chefs we’ve spoken with, a quoted fee doesn’t include the cost of food. You may need to provide the chef cash to shop. They should return the change and all receipts. Is service charge included in that cost? Some chefs include a fee of 10%, 15% or more on top of the final bill as a mandatory service charge. What about service? Some chefs have quoted us a price that includes a chef and a server, while some charge an additional fee for service and clean-up. Some may prefer to bartend themselves and choose their own wines, but if that’s something you’re hoping to add on, some chefs can bring in a bartender or sommelier to help craft cocktails or create a wine pairing menu with dinner. Do know that the cost of hiring a private chef can vary hugely so don’t always assume it’s out of your budget. Many chefs will provide pricing for a one-off dinner vs. an entire week experience, with pricing becoming incrementally more enticing with more people in your party. 3. If you’re hiring a professional chef, they should be able to provide you with sample menus or some inspiration for your dining experience. As we’ve learned in the past: if they can’t articulate what they can offer, then you probably don’t want to be a guinea pig. The chefs we’ve had the best experiences with were able to share sample menus they’ve created in the past or were able to consult with us to craft a menu that fit our tastes and interests. Don’t be afraid to ask them to send over some inspiration – most chefs are happy to send over previous menus they’ve crafted to get the ball rolling and gauge which types of cuisine interest you. 4. Chefs work with a huge variety of diners with different tastes, dietary restrictions, and ideas about the dining experience. Communicate what you’re looking for, or at the very least communicate what you’re not looking for. Any dietary restrictions? Be sure to tell them! Do you prefer bold flavors or do you shy away from spice? Ask if they have specialties – you can use these or modify them to fit your taste. Chat about what a typical dinner looks like for them: is it three courses? Is it family style? Dream up what you have in mind and see how that vibes with their style and their abilities. Not a dessert person? Let them know to scrap dessert and add a pre-dinner snack (e.g. shrimp cocktail, ceviche, pita and hummus, etc.) or pre-dinner cheese plate instead. If you’re looking at hiring a private chef for the week vs. a single dinner, talk to them about stocking your kitchen in advance for different meals and be prepared to provide a list. With a high-end villa like the Villa at Frangipani, we communicate with guests prior to arrival to provide a checklist if guests are looking for stocking services prior to arrival. Generally it’s good to come up an idea of what you want and what will make your dining – and snacking! – enjoyable. Wanting to hire a private chef for an upcoming stay at the Villa at Frangipani? Email our concierge at concierge@frangipaniresort.com to check out sample menus and get recommendations! What are your thoughts on hiring a private chef? Have you ever hired a professional chef on vacation before? This post appeared in its original form on The Wanderlust Effect. This entry was posted in Your Anguillan Getaway and tagged Anguilla Resorts, Frangipani Beach Resort, Hiring a Private Chef, Hiring a Private Chef in Anguilla, Luxury Anguilla Getaway, Meads Bay Hotels, Private Chef in Anguilla, Villa Chef in Anguilla. On Sunday, we got to bring together two exciting elements: our new four-bedroom villa on Meads Bay and our on-site boutique, Petals. Petals has grown over the handful of years that its been open, and has come to include a rich selection of locally crafted items, Anguilla-themed clothing, resort wear and beach wear, high-end souvenirs, and a carefully curated selection of international pieces from around the globe. In our latest shoot, we’re highlighting some of our favorite items for Spring 2016! Resort wear on display at the villa with a mishmash of our favorite brands! Yes, you can go B&W in the Caribbean! This black convertible dress can be worn in 6 ways – flattering on so many body types and skin tones! Petals Boutique is located at the Frangipani Beach Resort on Meads Bay and is open from 9AM – 8PM through April 15th, and from 9AM – 6PM thereafter. Talk to our boutique reps/personal shoppers to help you find items that fit your style and budget! 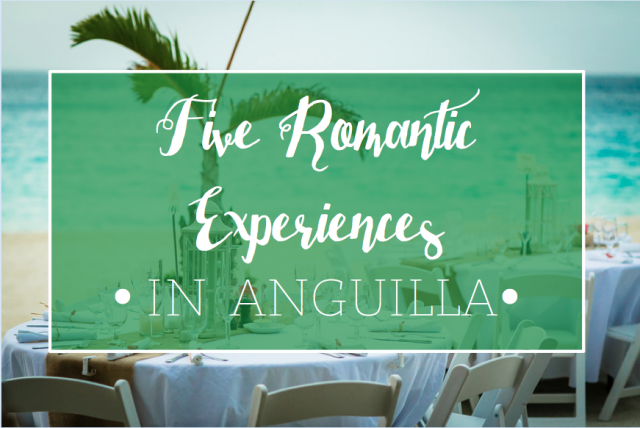 This entry was posted in Your Anguillan Getaway and tagged Anguilla Shopping, Anguilla Souvenirs, Boutiques in Anguilla, Frangipani Beach Resort, Meads Bay Anguilla, Petals Boutique Anguilla, Shopping in Anguilla, Shopping in the Caribbean. The 2014/2015 season has brought a lot of excitement for us at the Frangipani! We officially unveiled our new reception area, and with it, our new fitness center and conference space. Yes, Anguilla’s all about lazing in the sun under a palapa and sipping rum punch overlooking the Caribbean Sea, but we had many guests wanting to sneak in a good morning workout, or a pre-dinner run. Behold, the brand spankin’ new fitness facility at the Frangipani Beach Resort. Treadmills, ellipticals, a couple of bikes, free weights and two benches (currently en route to Anguilla), along with an area for stretching, complete with medicine balls, resistance bands and mats. Plus, check out this view! It certainly makes that extra mile a little easier. The resort’s new fitness center provides a great complement to our second pool, which is a great space for swimming laps for those that prefer water-based exercise. Our fitness facility is open to guests only, and passes are not available to outside guests. This entry was posted in Current Events & Activities, Your Anguillan Getaway and tagged Anguilla Fitness Facility, Anguilla Gym, Anguilla Hotels, Anguilla Resorts, Frangipani Beach Resort, Frangipani Resort Gym, Meads Bay Hotels, Working Out in Anguilla. Amidst the fun of snorkeling, diving, kitesurfing and stand-up paddleboarding, there’s something so great about the simple pleasure of being on a boat. At the Frangipani, that often times involves heading out our power boat, Relentless, visiting off-island cays and exploring beach bars that dot the island’s perimeter. 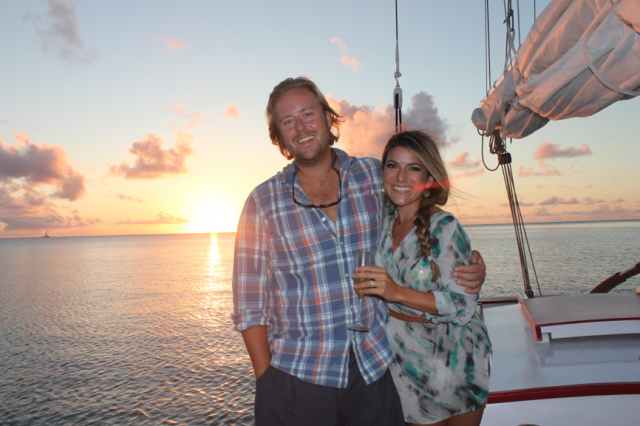 On one occasion earlier this year we headed on a boat trip that was extra special, a sunset tapas cruise on Tradition Sailing. Operated by Laurie Gumbs (of Pumphouse fame) and Deb, his partner-in-crime, the Tradition experience has been fine-tuned to give guests an incredibly unique and memorable experience. When the sunset works in your favor, it’s bliss to the nth degree. The vessel is a traditional West Indian sloop that provides an experience markedly different from a typical powerboat. Considering the historical and cultural significance of sailing in Anguilla, a traditional sailboat is an homage to the island of yesteryear; a slow sweet sail from Sandy Ground with a cocktail in hand and the wood beneath your feet. This entry was posted in Your Anguillan Getaway and tagged Anguilla Sailing, Boat Charters Anguilla, Sunset Tapas Cruise Anguilla, Tradition Sailing Charters Anguilla. Want an inside view at the Frangipani? Check out this video of the resort, the rooms and the offerings for a glimpse! This entry was posted in Your Anguillan Getaway and tagged Anguilla Resorts, Anguilla Video Footage, Frangipani Beach Resort, Meads Bay Anguilla, Meads Bay Resorts, Straw Hat Restaurant Anguilla. Earlier, we shared our excitement about flights offered by Trans Anguilla Airways, and now we’re sharing our experiences for guests interested in bringing together a Caribbean excursion with a taste of different islands. Our first excursion with TAA? St. Barths. We departed Anguilla at 10AM, just as scheduled. After chatting with the team at Trans Anguilla Airways, the flight to St. Barths was half of the draw for me. I had heard about the landing and after having experienced it, it lived up to its hype. Despite the small plane size and close quarters, the flight was actually pretty spectacular. I personally love flying (hate airports, but love flying) so the small plane was actually a bit of a draw for me. The view of Anguilla, St. Martin and St. Barths during the trip was stunning and the contrast between the islands’ topography was even more pronounced from above. The short flight took us from Anguilla to St. Barths in 12 minutes, where we scooted into the airport and walked right onto St. Jean Beach. Also worth noting, the AXA airport is quite possibly the nicest and simplest airport on the face of the earth. If you haven’t been through Anguilla’s airport before, you’re in for a pleasantly easy experience. We arrived about 30 minutes prior to flight time, which may have been 15 minutes earlier than necessary. Since there are inevitably only a few people on your given flight there’s not this entire production about safety, exits, etc. (though they do make sure to point out exits and make sure you buckle up). The plane is smaller than an SUV, so everything is pretty obvious at first glance. After a quick landing and deplaning, we were on our way to explore St. Barths. The airport is adjacent to St. Jean Beach, home of Eden Rock Resort, which was clearly visible in the distance. Since we had opted out of renting a car, we decided to walk down the beach to check out the area and the architecture of the island. At first glance, it looked much like St. Martin: red-roofed buildings built into a sea of mountainous greenery. Walking through the streets surrounding St. Jean Beach and Anse de Lorient, I was immediately impressed with how chic and clean the areas were. The cobblestone roads were quaint, and the brightly colored boats added to the Caribbean feel. Unlike Anguilla’s bright candy-colored Caribbean houses (think bright orange, teal, lime green, etc. ), St. Barths’ homes and buildings are very French Caribbean, straight off of a Coastal Chic Pinterest Board. While there’s a fair bit of nice shopping in the St. Jean area, we wanted to get out and explore different regions of St. Barths before lunch. The staff at Eden Rock was kind enough to call us a cab since there were none available on the streets. When a black Mercedes cab pulled up, I looked at Scott with both excitement and fear. Can I have them send a Kia cab? This is going to cost a fortune. As if by government mandate that all things in St. Barths embody all that is beautiful and perfect, the cab smelled like fresh cut flowers inside and the interior was spotlessly perfect. Verdict: 20 euros to Gustavia. That I could do. Do note that cabs in St. Barths are extremely expensive (not unlike Anguilla). Keep costs down by staying near the airport — there’s plenty to do within walking distance of the airport. We made it down to Gustavia with no real plans in mind. We asked the taxi driver to drop us off at the starting point of the main shopping ‘strip’, an area dotted with boutique shops and luxury stores like Louis Vuitton, Cartier and Bulgari. I dared to window shop, but didn’t venture too much further than that. We approached the end of the strip and a restaurant that was recommended by our cab driver for a drink, a burger place called Le Select. While I wouldn’t have known any better, Scott recognized Le Select’s name as being the inspiration for Jimmy Buffett’s Cheeseburger in Paradise. Sure enough, the sign confirmed this. For all of you Jimmy Buffett lovers, I’m sure this is on your agenda. We had about an hour before we wanted to leave for lunch and Le Select was dead but for a few weathered locals sitting at the bar inside. We decided to find a place with outdoor seating and a view to grab a drink. Just down the street, we ran into La Cantina which fit that very description. I grabbed a margarita (no mint for my mojito go-to) and Scott grabbed a Ti Punch, the famous drink of the French Caribbean. Near the water, this place offered great views and a perfect perch to people watch. Plus, the prices were refreshingly reasonable. If you’re looking for an affordable place in Gustavia, La Cantina offers street side tapas and cocktails. Note: If you’re taking the ferry from Anguilla or St. Martin to St. Barths, you’ll get dropped off in Gustavia on the main drag, which is perfect for walking around. There are plenty of shops and dining in Gustavia to keep you intrigued. We asked our taxi driver to take us to Le Toiny Hotel for lunch, a €30 cab ride. I have no idea if we were getting totally ripped off on cabs all day, but based on Anguilla’s taxi prices, I think that may be the norm. Unlike the Merecedes cab of earlier, this was a beat up old van with a wizened cab driver at the helm. €30 seemed a bit outrageous, but he explained that the restaurant was ‘across the island’. On an island that’s 8 square miles, that makes you raise your eyebrows a bit. Lunch was one of our main missions for the day since that was the only dining we were going to experience in St. Barths. We wanted to see Hotel Le Toiny so we opted to eat at their on-site restaurant, the acclaimed Le Gaiac. On Tuesdays, Le Gaiac offers a gourmet ‘Fish Market’ prix fixe lunch special in lieu of their standard menu. For a set price, you get a three-course lunch with a selection for each course. There are certainly less expensive options (see below) but we wanted to explore the hotel for future trips to the island. With the hotel and restaurant set up on the hill, the view from Le Gaiac is a stunning one; sweeping views of Anse Toiny and the green hills that surround the beach. If you’ve looked into a trip to St. Barths, you’ll know that dining can be very expensive. There are a number of high-end places with entree prices that will make you look twice. There are also a number of places that are reasonable by St. Barths’ standards. Do a bit of research beforehand so you know what you’re getting into. You don’t have to spend a fortune on food. There are super casual dining spots scattered throughout the island, plus grocery stores which offer easy options for a beach picnic. While you could easily spend a few days in St. Barths, six hours was the perfect taste of the island if you’re just looking for a glimpse. Since you’re only there for a brief period, plan your day out in advance to ensure you’re making the most of your brief time on the island. If you decide to stay by the airport, you’ll have St. Jean Beach and Anse L’orient within walking distance, plus great lunch spots and plenty of cute boutiques to do a bit of shopping. Save that cab money and spend it on lunch and a ti punch. Tres chic indeed. This post originally appeared in its original form on The Traveling Scholar. This entry was posted in Your Anguillan Getaway and tagged Anguilla to St. Barths, AXA, Day trip to St. Barths, Flights from Anguilla, SBH, Six hours in St. Barths, St. Barthelemy, St. Barths, St. Barths Daytrip, Trans Anguilla Airways.